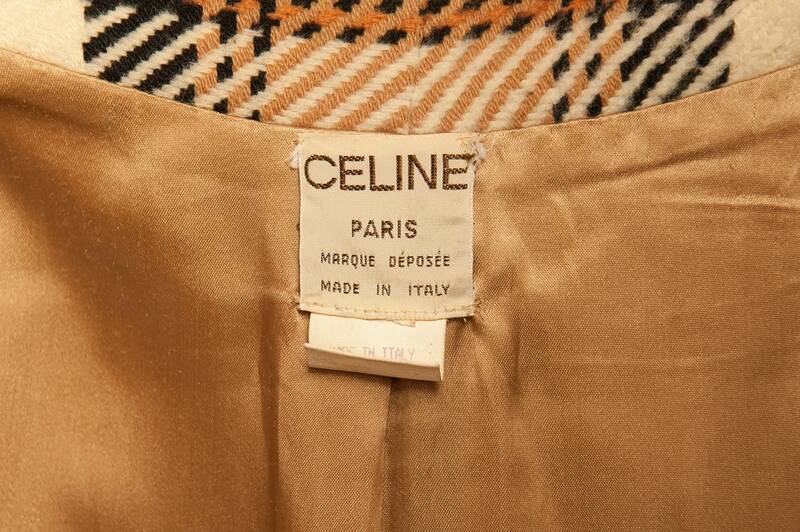 Iconic duffle coat by CELINE from 1970's. 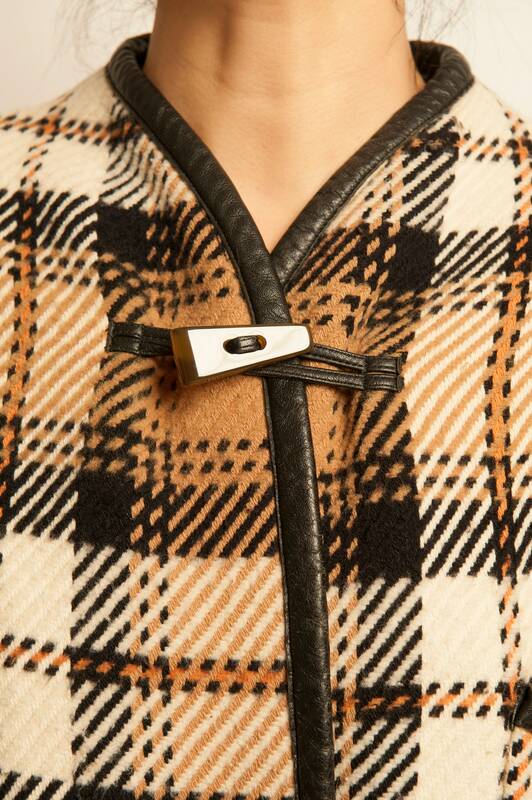 Tartan pattern, no collar, leather piping on finishing, dolman sleeves, patch pocket on the left bust and each side, closure with bakelite buttons on the front. Fine; damages on the lining (under pit).